Steve and Jen Henning have both been laid off in the great recession of the early 21st century. Their marriage is falling apart. On the way home from coaching at a martial arts tournament, Steve witnesses a single-vehicle wreck on a lonely Kansas highway, and stops to render aid. The driver is dead. The van is full of drugs and cash. Steve takes the money. He thinks it’s the perfect crime. No witnesses. No fingerprints. No sign the cash was ever there. 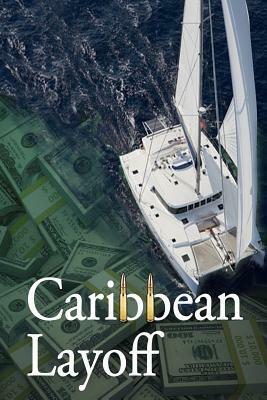 Steve and Jen come together in a plot to move the stolen funds to a Caribbean tax haven. But, the cartel wants its money back, and sends a DEA investigator on the cartel payroll and two of its enforcers to track the theft. Perhaps it’s not the perfect crime. An Aerospace Engineer, Accountant, Product Manager, Operations Director, Sales Executive, and Writer in that approximate chronological order. He’s always enjoyed writing, even though early writings were mostly Product Specifications, Sales Proposals, and Departmental Budgets. Most readers assumed those were fictional. Currently lives in a motorhome and is traveling the US with his Interior Designer wife and their remaining Granddog. Three grown children span the United States from New York to Austin, TX to San Diego. Things have not been going well from Steve and Jen Henning. They are have been laid off, their marriage is falling apart, and they are about to lose everything. But on the way home from a martial arts tournament Steven witnesses a single vehicle crash. When he checks on the driver he finds him dead but he also finds a lot of drugs and money. 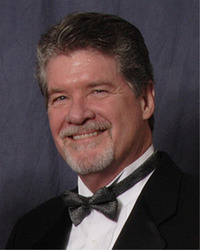 Thinking that no one would really miss the money Steve walls away with $30 million in cash. But the cartel is not happy and will go to any length to find their money. They get a lead and follow Steve to get their money back. This book is full of action and some serious bad guys. But I really like how there was some thought with what Steve and Jen were going to do with the money. Granted they still did some stupid things but that just makes them more believable. This was a great read and one that I recommend checking out if you like thrillers. It will keep you on the edge of your seat and flipping pages like crazy. This is the first book of Lance’s that I have read but it won’t be my last.